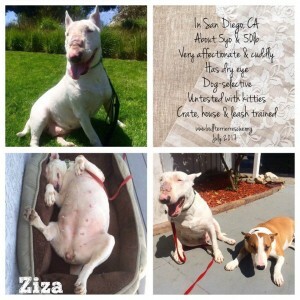 Ziza in San Diego, CA | Bull Terrier Rescue, Inc. If your information is not yet on file, please complete our application which can be found here: http://www.bullterrierrescue.org/?page_id=572. 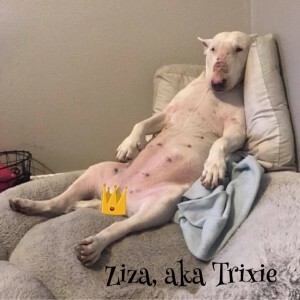 This entry was posted in Misc by Susi Ming. Bookmark the permalink.